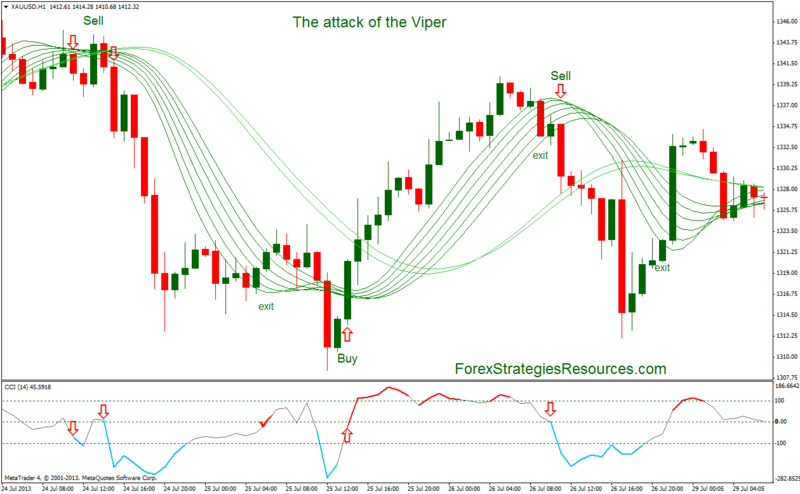 This Trading Method trend following is based on a set of T3 indicator and CCIRNP indicator. Take ratio 1.3 stop loss. Profit Target time frame H1: 18-25 depends by currency pair (reccomended). This Trading Method is good also for trading with binary options. The attack of the Viper Trading System: Template and indicators. 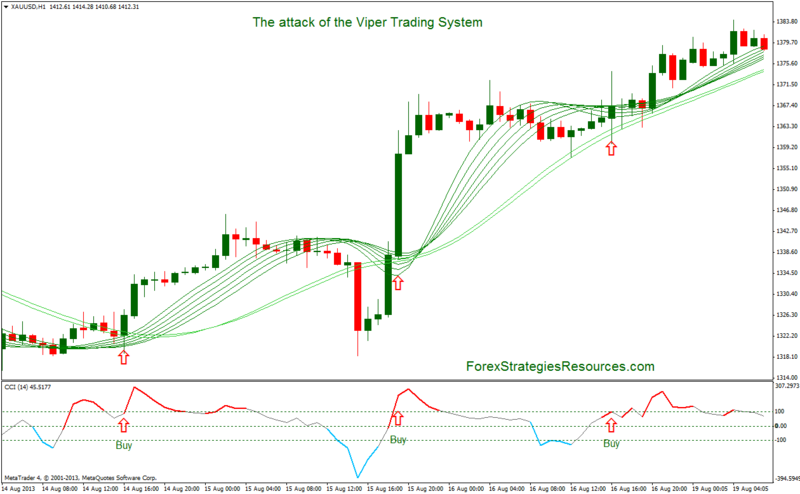 In the pictures below The attack of the Viper Trading System in action. A good Trading Strategy. I take exit position, when the price touches the T3-Bow. Waiting till touch the 0 Line by CCI is too late for me. You lost too many pips.